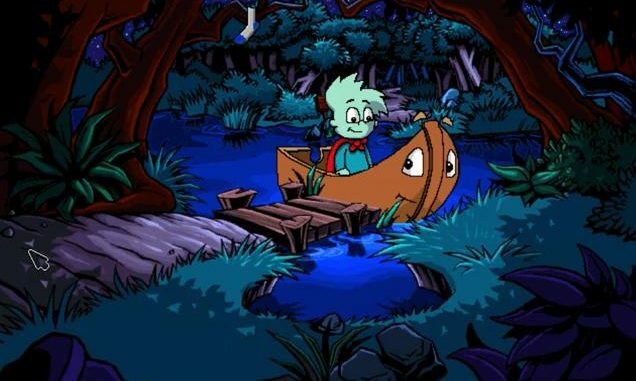 Pajama Sam is an educational adventure video game franchise developed and published by Humongous Entertainment. All games consist of three parts: the tutorial, the actual game, including the target side, and credits. Really happy with everything which is done here, have been playing many of my childhood games and have been having a blast. The first three games of this pack work great! but when I try to add ‘Pajama Sam 4: Life is Rough When You Lose Your Stuff!’ into Scummvm it keep saying that it ‘could not find game in the specified directory’ Is there anything I am doing wrong? It did help, in having me realise I don’t need Scummvm to launch 4, but how do I launch it then? I am afraid that I am a bit confused by that. When opening up the map for Pajama Sam 4 I just see a bunch of files and folders. I tried clicking a few of them, but it didn’t result in much. I hope you will be able to advise me on what to do. Thanks in advance. can you send me some screenshots of the files included? I wouldn’t know where to send the screenshots to and can’t seem to add them in here. Is there maybe an email address? PajamaLRS, Type: application. (When I doubleclick this I get a warning from windows that the screen solution is not optimal, but nothing actually opens. ATR1, Type: aplliciation. (When I open this I can only sign up for Atari product registration. If I skip the registration it closes and does nothing else.